For many travelers, Bhutan’s monasteries best encapsulate the country’s mysterious and ancient heritage. No one knows for quite how long Bhutan has been settled, though many estimate that its first inhabitants appeared as early as 2,000 BC. In the 7th century, Buddhism officially arrived in the country, and with it came new populations from Tibet, a flourishing of culture, and the origin of the country’s long monastic tradition. Also comprising dzongs – or fortress-like civil and religious structures that were of prime importance to local communities, and which are unique to the region – the monasteries of Bhutan are hauntingly beautiful against their remote, mountainous landscapes. Make a pact to visit these landmarks and feel the full force of the country’s magic. 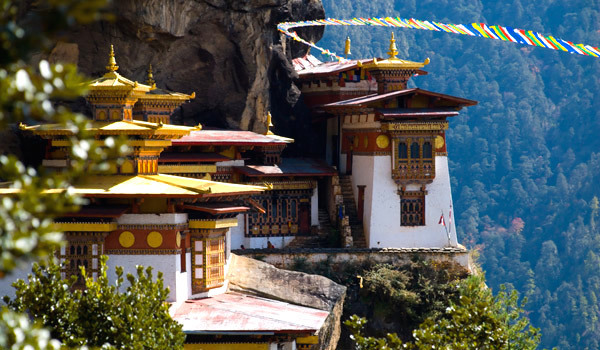 Undoubtedly the best known of the monasteries of Bhutan is the Tiger’s Nest Monastery (also called the Paro Taktsang). Often regarded as a symbol for Bhutan itself, the monastery’s origins date to the 8th century; its name comes from the legend of Guru Rinpoche, an important Buddhist figure said to have journeyed over from Tibet on the back of a flying tiger. It’s the cliff-side location that really makes the Tiger’s Nest remarkable, however: located 3,000 meters above sea level, it perches precariously near the rocky cliff edge. Today, there’s still no straightforward way to access the structure, with visitors required to go on a multi-hour trek to get close. For a structure that exemplifies Bhutan’s classic dzongs, turn to the Punakha Dzong, located not far from Thimphu, the country’s capital. As only the second dzong to be built in all of Bhutan, the structure has certified landmark status. Its current incarnation was built beginning in the 17th century, and is a hallmark of the style, with its ornate paintings and Chinese-influenced roof structure. Located at the confluence of the Mo and Pho Rivers, it’s a striking sight. 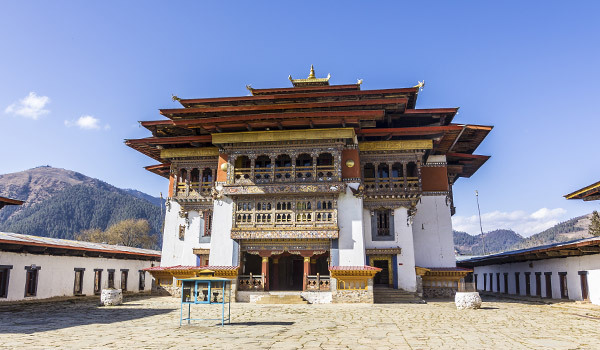 Otherwise known as the Tashichho Dzong, the Thimphu Dzong, which is located just above the heart of the capital city, is one of the more accessible monasteries of Bhutan. 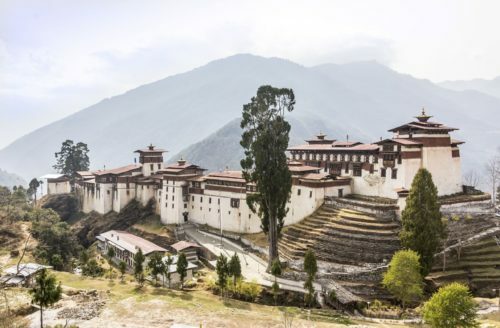 Since its founding in 1261, the dzong has gone through many iterations: damaged by fire and earthquakes, rebuilt and expanded, it is famously constructed without formal plans or nails, as is traditional. 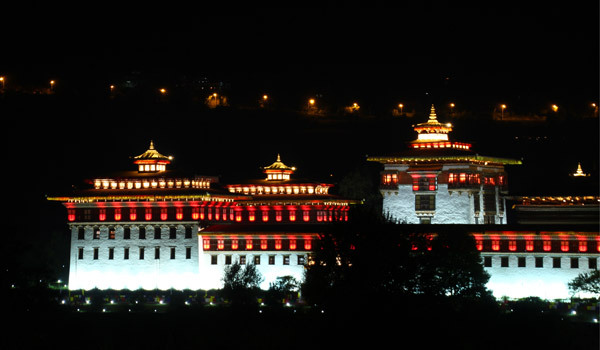 This “fortress of glorious religion” also happens to host the seat of the Bhutanese government. In the supremely picturesque Gangtey Valley stands the historic Gangtey Monastery. A seat of Nyingmapa Buddhism, one of the oldest, Tibetan-originated forms of the religion, the monastery dates to the 17th century and reflects an ancient heritage. Visually, visitors are greeted with a colorful tower painted in mandalas, pretty courtyards, and rainbow decorative elements on the exterior. Ranked amongst the largest dzongs in Bhutan, the Trongsa Dzong is also one of the most beautiful. Overlooking a misty gorge in a forested valley, the sprawling complex consists of dozens of historic, traditional buildings of Bhutanese design. Long a local government seat, the dzong’s avenues and courtyards are made to be explored (and admired). 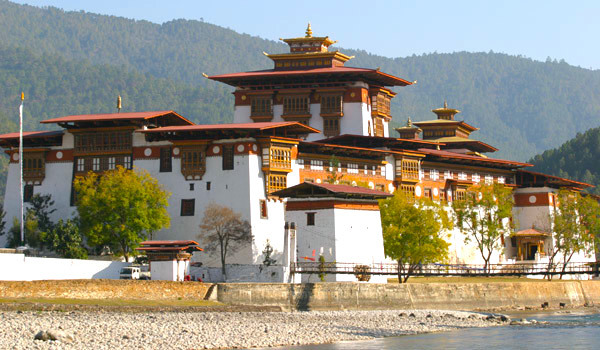 For more details about these incredible landmarks, have a look at our Bhutan itinerary.